Good Pug breeders are usually dedicated enthusiasts of this amazing breed, their only aim in producing a litter being to improve and better Pugs in terms of temperament, health and conformation. This is achieved by selecting only the best, most suitable male (stud dog) to mate with the most suitable female of that particular breed. However, it’s not as simple as it may sound and all breeders are not equal. Buying a pup from an unethical breeder can end in tears. You will find the best Pug breeders have spent years upon years studying them – normally after years of owning them. Learning about canine genetics, health and behaviour and, when they are confident they are up to the job, researching everything involved with dog breeding from mating and whelping to rearing litters to finding good homes and supporting the new owners should the need arise. Good Pug breeders are normally themselves mentored by other good breeders who are often even more experienced and knowledgeable about Pugs. The Kennel Club will give names of Breeders who have an Affix, but bear in mind that does not mean that they are all experienced in the breed. The Breed Clubs are the best way forward to give names of reputable Breeders who have a lot of experience in the breed and who follow the guidelines of good breeding, health checks, back-up service and advice after a puppy is sold. Also word of mouth is very important. 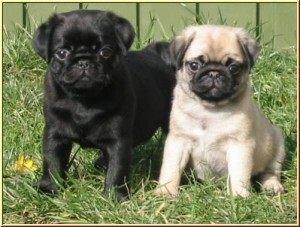 Go and see a lot of adult Pugs before even contemplating a puppy. A reputable breeder will ask a lot of questions, and will show all the relevant health certificates. If they don’t then walk away from them. pУтверджував володимир швед ґвалтівник демокр. тенденції у сусп. hi when is next litter and where from. I was wondering if you knew the where abouts of UK Pug breeders?